Portsmouth is an island city with a population even denser than that of central London. It’s most famous for its port, of course, with holidaymakers, business people and truckers departing and arriving here daily. Two-thirds of the Royal Navy’s surface fleet not to mention several famous historic naval ships (including HMS Warrior and HMS Victory) are based here. There’s plenty to do in Portsmouth - check out the Pyramids Centre for entertainment and events, Port Solent for retail and dining experiences and recently developed Gunwharf Quays outlet village to grab a bargain. There are three Safestore self storage facilities in and around Portsmouth, ideal for local residents, businesses and visitors alike. Drop off your left luggage before or after a crossing, or store your personal effects, household furniture, business stock or archives at any of our stores and it will all be kept safe, clean and dry until you need it again. 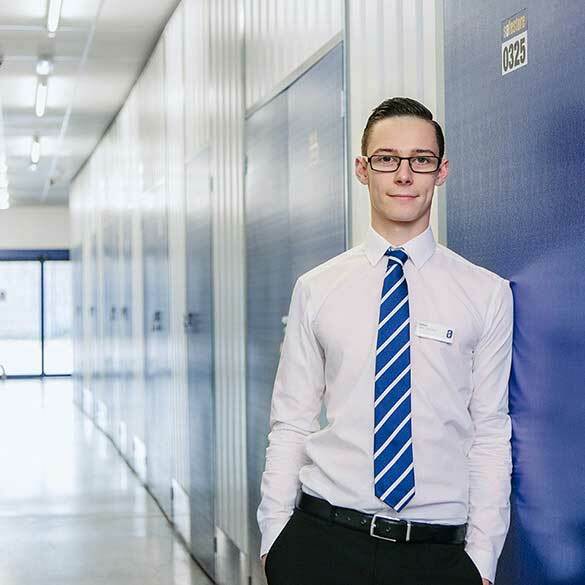 Safestore Portsmouth is near the University of Portsmouth and its Langstone campus (ideal for student storage over the holidays) and handy for self storage near Gosport or the Eastney, Southsea and Portsea areas. Safestore North Harbour is on Southampton Road in the Port Solent area, conveniently located if you need self storage in Portchester or the Cosham area. Nearby Safestore Fareham is close to Portchester and Titchfield and is easy to reach from the Stubbington and Bridgemary areas. For self storage in Portsmouth, call our friendly team at your most convenient Safestore location or click to book online. There’s no deposit to pay and it’s easy to reserve a unit for just a week or for as long as you need it. Get a storage quote today and reserve a Portsmouth storage unit for free. We won't ask for a security deposit either. Get 20% off if you need self storage for longer than 12 months. Available at all Portsmouth Safestore centres. Terms apply. Portsmouth is a port city and naval base on England’s south coast and is the UK's only island city. It has a proud naval and maritime heritage and with magnificent museums, live music venues, contemporary art galleries, two cathedrals, university, a diverse literary heritage, nightlife and festivals, there is something for everyone. If you're studying in Portsmouth or you're moving into the area and you need more space, then Safestore can help. All our stores have a variety of storage unit sizes, so whether you need to store a little or a lot, you’re bound to find the right solution with Safestore. Available both long and short term, you can store for as long as you like, starting from just a week. So whether you need ongoing storage space or somewhere to store your belongings for a short time, Safestore has the perfect solution for you. Talk to the team and get a quote today. With a central south coast location, Portsmouth has great accessibility by road, rail and air, not to mention sailings to Isle of Wight, France and Gosport. The city is home to large venues such as the Portsmouth Guildhall and the University of Portsmouth in addition to the infamous ships at Portsmouth Historic Dockyard, the towering Emirates Spinnaker Tower and two Edwardian Theatres. If you’re looking for more storage space in and around Portsmouth, then look no further. All our centres have a variety of different room sizes, ranging from lockers to large units. Rooms are available on a flexible basis, both long and short term. We are also able to offer packing materials, transport options and free use of pallet trucks and trolleys. So whether you’re looking for household, business or student storage, Safestore has the ideal solution for you. Get in contact for your quote today. Portsmouth is renowned for being a friendly place and our professional advisors in store and on the phone embody just that. Portsmouth advisors are experts in their field and can help you every step of the way through your storage journey. Safestores, in Portsmouth and beyond, are proud to have been awarded a ‘Gold Trusted Merchant’ award in 2014, 2015 and 2016 by Feefo (an independant customer tracking system for businesses), commending our ability and commitment to making customers happy.